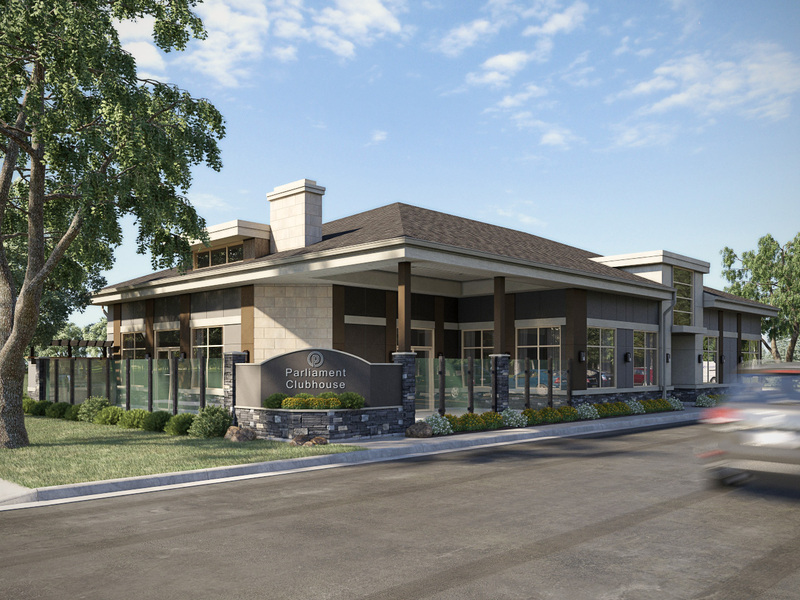 REGINA, SK – Imperial Properties, an award winning property management company with offices in Regina and Winnipeg, announced today that it is launching a new rental community in Regina. Parliament, located at 5200 Parliament Avenue near the intersection with Harbour Landing Drive, offers a full range of amenities and access to local attractions, and phase one will open to residents on April 1. Parliament is designed with the needs of modern apartment dwellers in mind, offering high quality and modern living spaces in a convenient location near great shopping and restaurants. Tutor Park, Regina Rugby Park and Hudson Park are all located nearby, and the community is a short drive from other area parks, including Kinsmen Park South and Lakeview Park. Additionally, Parliament is located in close proximity to Regina International Airport, making it ideal for frequent fliers. When complete, the community will consist of three buildings totaling 241 apartments, making it one of Regina's largest new rental communities in decades. "Our team is very excited about the upcoming opening of Parliament in Harbour Landing," said Adrian Schulz, ACCI, president and CEO of Imperial Properties. "This new property is a bright addition to our portfolio, ideal for young professionals and families alike. Parliament will offer all the amenities today's renters have come to expect, as well as the attentive and responsive onsite property management for which Imperial Properties is known. We expect these luxury apartments will be very popular among Regina residents." Imperial Properties is currently accepting applications for the property, which has one-, two- and three-bedroom units starting at $1,050. Units feature a choice of colour palettes, and amenities and features include stainless steel kitchen appliances, central air, large private covered balconies, modern interior finishes, window coverings and in-suite laundry. The community will be pet friendly, and will offer both surface parking as well as Regina's first underground, heated parking garage for a rental property in Harbour Landing. Additionally, Parliament will feature an exclusive clubhouse with a fitness centre, lounge, billiard room, communal barbecue area and patio. "Parliament represents an important addition to Imperial Properties' portfolio," said Schulz. "This modern, exclusive community is already attracting excitement among prospective renters and Regina residents, and we're looking forward to the role that Parliament will play in continuing to build our reputation as one of Western Canada's leading property management firms." For more details about Parliament, including floor plans and rental information, visit http://www.parliamentrentals.ca.